Drawn digitally in Photoshop with my Monoprice tablet and gouache brushes by Kyle Brush. 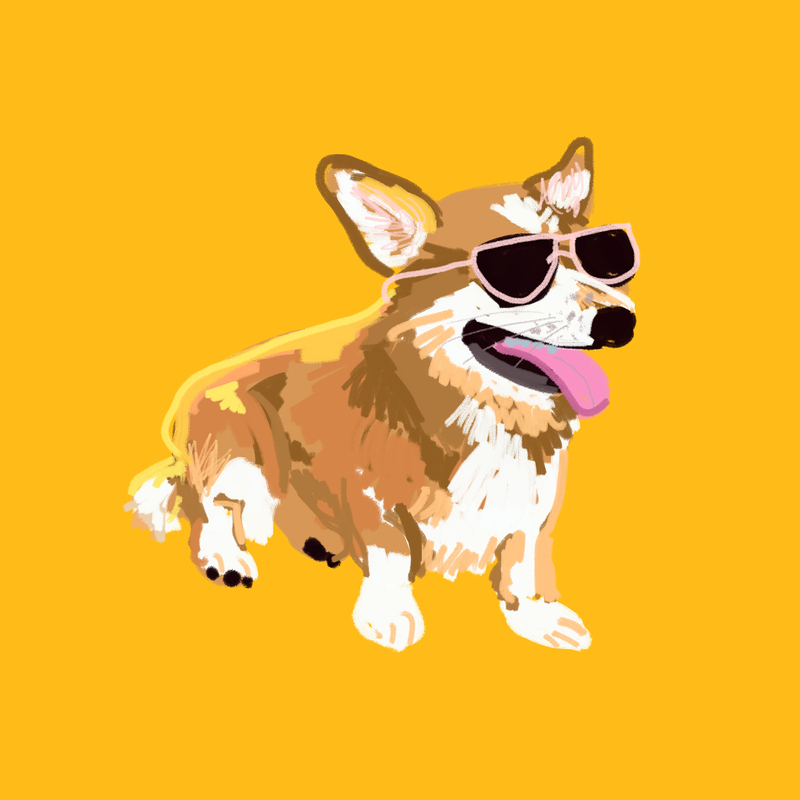 Inspired in part by the smile and attitude of my best friend's corgi, Darby. Ha! This is super cute! I love Corgis!